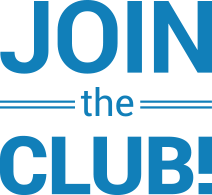 ClubCom – Join the Club! they don't want to be anywhere else. The most important part of any relationship. Inform members about club services and promotions. ClubCom is installed in 4,000+ health clubs and counting. 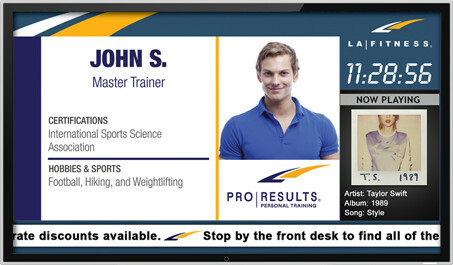 Making it the most trusted & proven fitness digital network on the market. The elite entertainment television network in the fitness industry. We’ll create a custom branded network especially for your health club. Keep your members entertained… because happy members are loyal members. Why only have music when you can have audio and visual entertainment? Replace your current overhead sound with energizing music and engaging music videos. 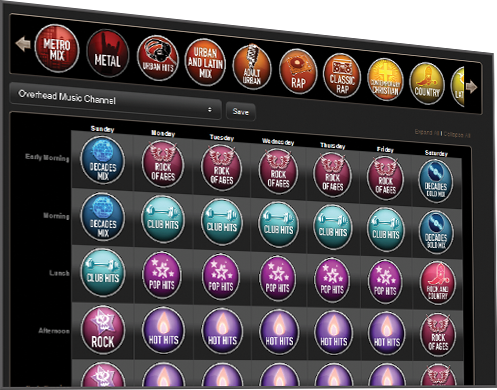 Our massive music library will give you a plethora of channels to choose from, including current hits and music from the hottest artists to keep your members moving. don’t compete with the screen…use it. 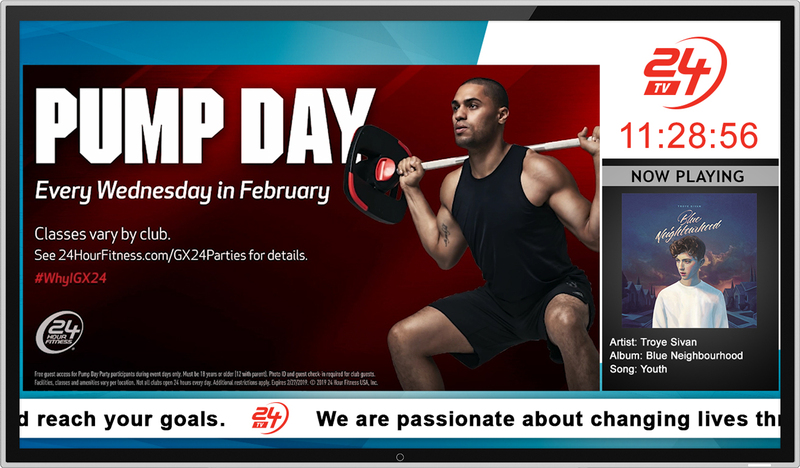 Make the most of the screens in your club and communicate directly with members through digital signage and commercials. A new road to revenue. Through national and local advertising headed by our partners at Zoom Media, you can generate revenue using the same network that provides the entertainment for your club. That means you can gain extra revenue without any additional work! All you need to do is get your own ClubCom network and JOIN THE CLUB! ClubCom partners with the top brands in the industry.